Dundee went down 2-1 to Kilmarnock in unfortunate circumstances at the Kilmac Stadium at Dens Park this afternoon. After taking an early lead through Adil Nabi’s first goal for the club the Dee conceded a freakishly unlucky own goal by Andy Boyle. Killie’s winner came from a hugely controversial penalty scored by Eamonn Brophy following what looked like a dive. Elliott Parish couldn’t save that one, but he brilliantly parried a later spot kick by Greg Stewart. Both clubs made a single change from their wins last week. The Dee brought back Kenny Miller, with Benjamin Källman moving to the bench. Stuart Findlay came into Killie’s central defence, replacing Kirk Broadfoot. 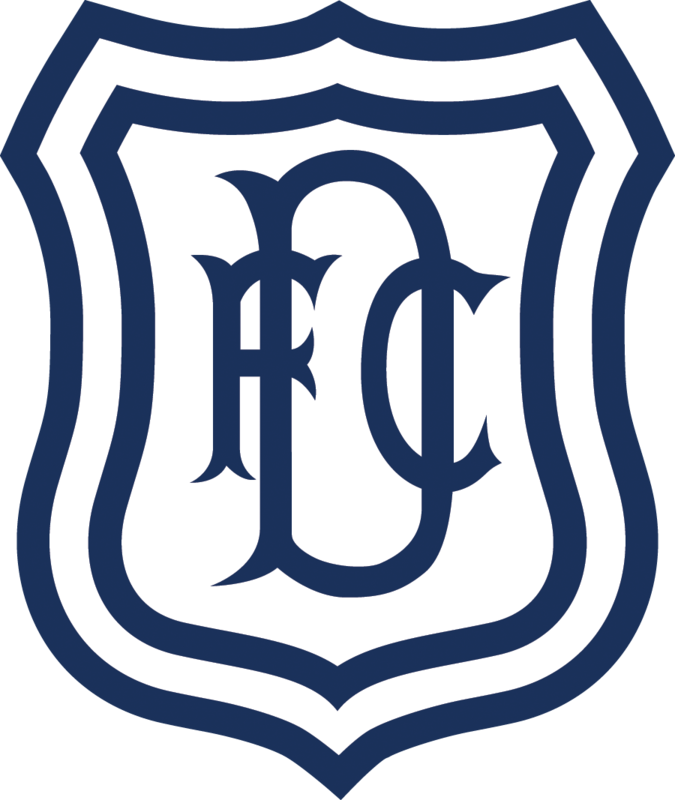 As they have done in recent games Dundee started brightly, impressing with some dangerous attacking down the left. Calvin Miller and Elton Ngwatala were combining well. After the pair had won a corner in the first minute they repeated their slick movement and passing for Ngwatala to flash a low ball across goal. Dundee followed through with their good start to take the lead after nine minutes. Calvin Miller’s cross was dealt with poorly by Scott Boyd. Adil NABI collected the ball 15 yards out, made space and finished well with a low shot into the corner of the goal. In the next attack Dundee opened up Killie with Nabi playing Ngwatala in in on goal, but the midfielder’s first touch was heavy and MacDonald blocked. The Dark Blues’ tails were up and they looked much the better side. Frustratingly they were pegged back by a fluke of an own goal on 16 minutes. Jordan Jones hit a low cross from the right and it struck Andy Boyle to loop agonisingly up and over Elliott Parish into the net. 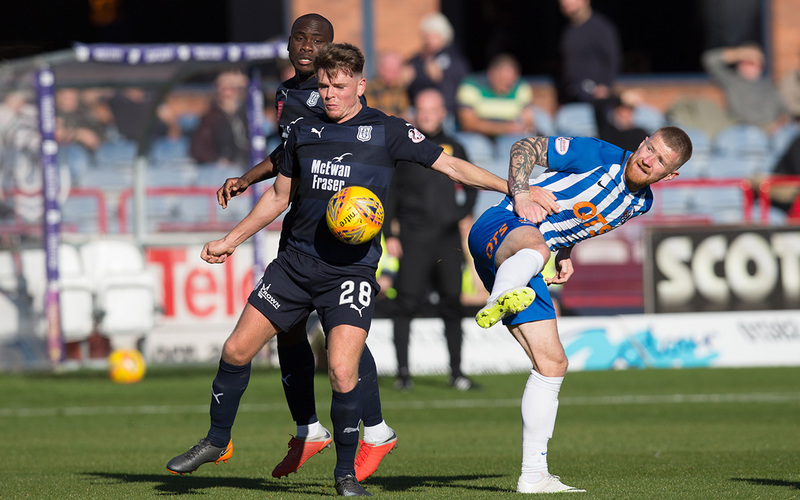 Killie may have been fortunate with the manner of their equaliser but they took heart from the goal to settle and played their way back into the match to edge the remainder of the first half. Centre back Scott Boyd went close with a volley from a corner. After that lively opening the game died down and there was little more to excite the crowd before half time. Dundee played some nice football around the midfield, but too often were guilty of giving the ball away carelessly. Kilmarnock were first to threaten after the restart and Elliott Parish saved well from Eamonn Brophy’s 30 yard free kick. However, the keeper was helpless to keep BROPHY out from the penalty spot a minute later. The real talking point, however, was Jordan Jones’ dive to win the spot kick. He pushed the ball past Cammy Kerr then flung himself to the ground sufficiently impressively to persuade Mr McLean to point to the spot. With a lead to defend Killie were even harder to break down. Ngwatala went close with a 20 yard shot but the Dark Blues were struggling to create chances in the penalty area. Parish had to save well again from a curling effort by Jones from distance. He surpassed that when Calvin Miller bundled into Chris Burke for Killie to win a second penalty. Greg Stewart’s spot kick was well struck but Parish stretched to make a marvellous save pushing the ball over the crossbar. Following the corner Stewart showed neat skill on the byline to find Jones, whose flick drifted narrowly wide. Kenny Miller had a couple of half chances from long balls. He couldn’t get enough on his header from the first to direct it past MacDonald. The second time he pulled the ball down, but MacDonald was out quickly enough to block and the loose ball rebounded to a defender. Most of the five minutes injury time were spent by Kilmarnock keeping the ball in the corner at the Dundee end. The Dark Blues forced their way out for a couple of late attacks but couldn’t break through. In ordinary circumstances the players and supporters might shrug after losing a game to such unlucky goals. For a team struggling at the bottom of the table this was a painful defeat, and it won’t be much consolation if the SFA compliance officer takes an interest in the circumstances leading to the winning goal. For much of the game, and especially in the first 20 minutes, the Dee looked little like a team at the bottom of the table. However, they need more composure in the final third to find better balls into the penalty area, and greater concentration in the midfield where Kilmarnock were given easy possession too often. Unused subs: Hamilton (gk), O’Dea, Mendy, Rice, Dow. Booked: Kerr (foul on Jones), Boyle (foul on Stewart). Unused subs: Bachmann (gk), Kris Boyd, Ndjoli, Wilson. Goals: Boyle og (16), Brophy pen (53). Referee: Steven McLean. Assistants: Alastair Mather, Andy Milne. Fourth Official: David Lowe.